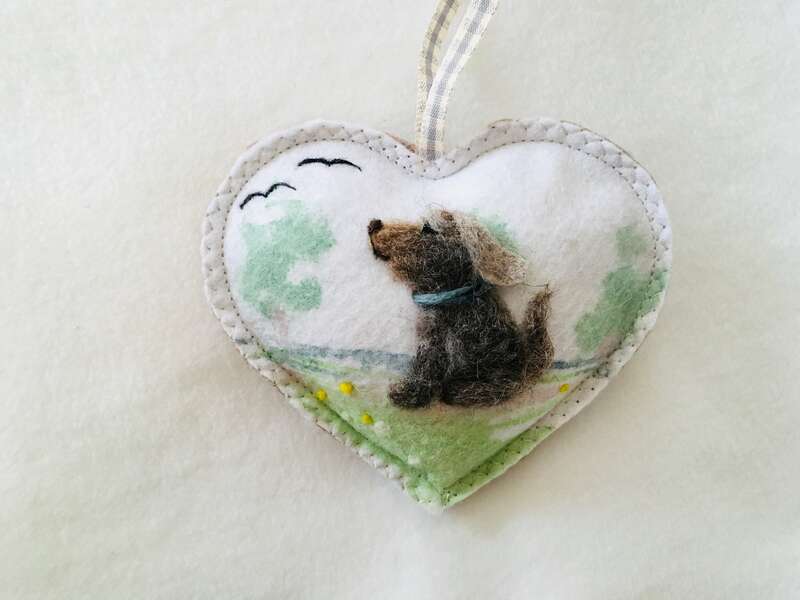 Dog needle felted heart with hand painted background *Free Shipping*personalised with name. 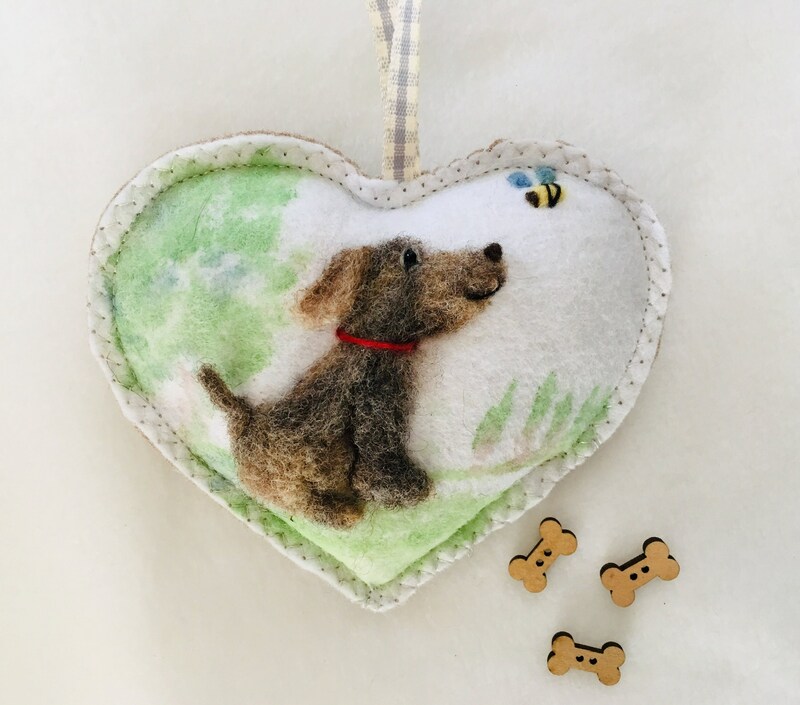 Felted by hand this sculpted dog sits watching a bee or the birds on the meadow. 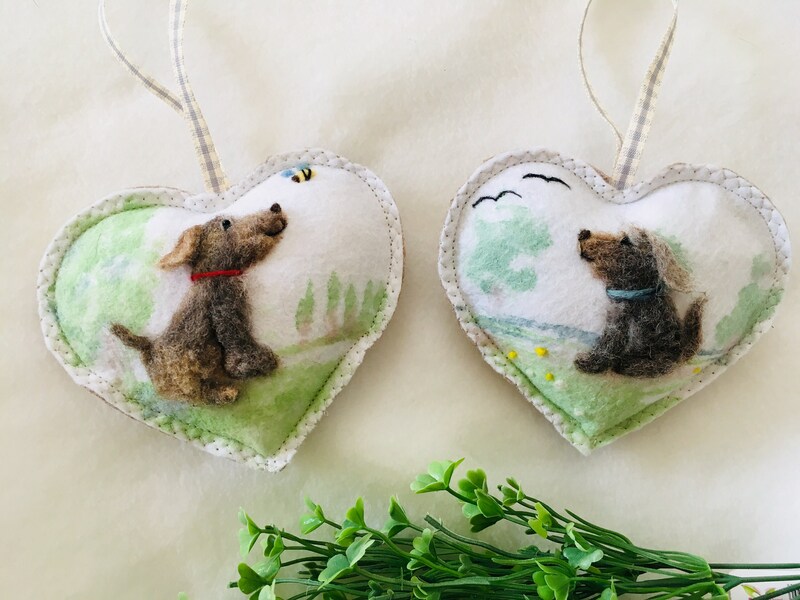 The design is needle felted with Somerset and Scottish wool and the rabbit is in Full Relief -The ear and nose are all 3 dimensional making the heart attractive from many angles along with his fluffy bobtail! The heart is scented with lavender or I can make it scent free. He enjoys being dangled from any handle or peg around the house. 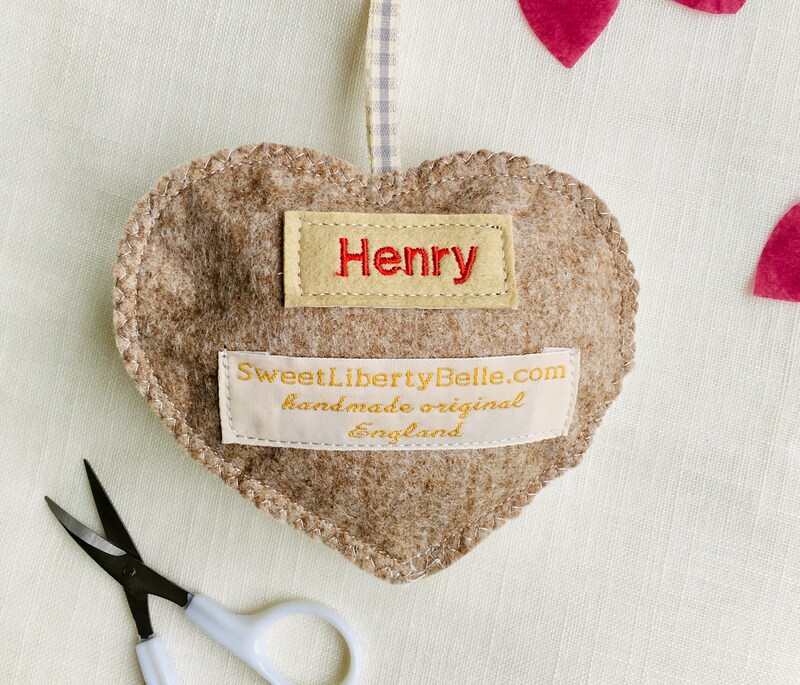 A sweet heart is an ideal gift for many occasions - Good Luck, Happy Birthday, teacher's gift, New Home, Baby Shower, Christening especially with their name embroidered on the back.